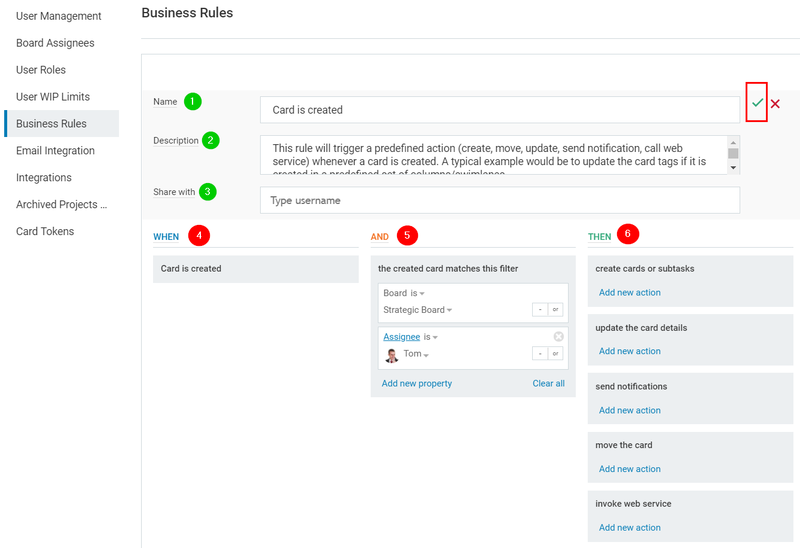 Thе Card is Created business rule will trigger a predefined action (create, move, update, send a notification, call web service) whenever a card is created. A typical example would be to update the card color if it is created in a predefined set of columns/swimlanes. How to set up the "Card is created" business rule? (4) WHEN - this is the event which will trigger an action (i.e. When a card is created). 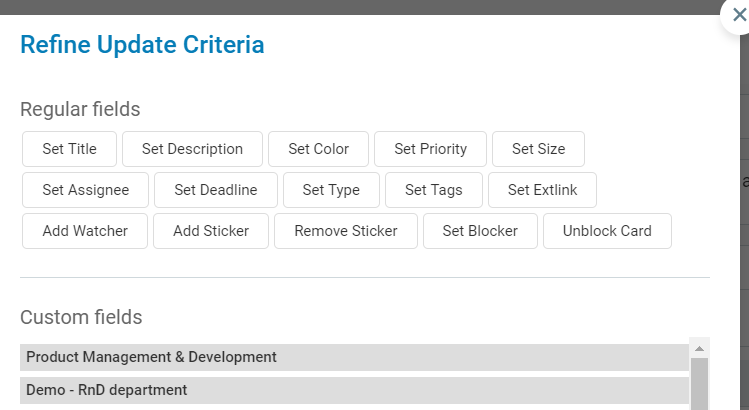 As a result, the rule will be triggered only for cards located at the defined board and for the selected assignee. 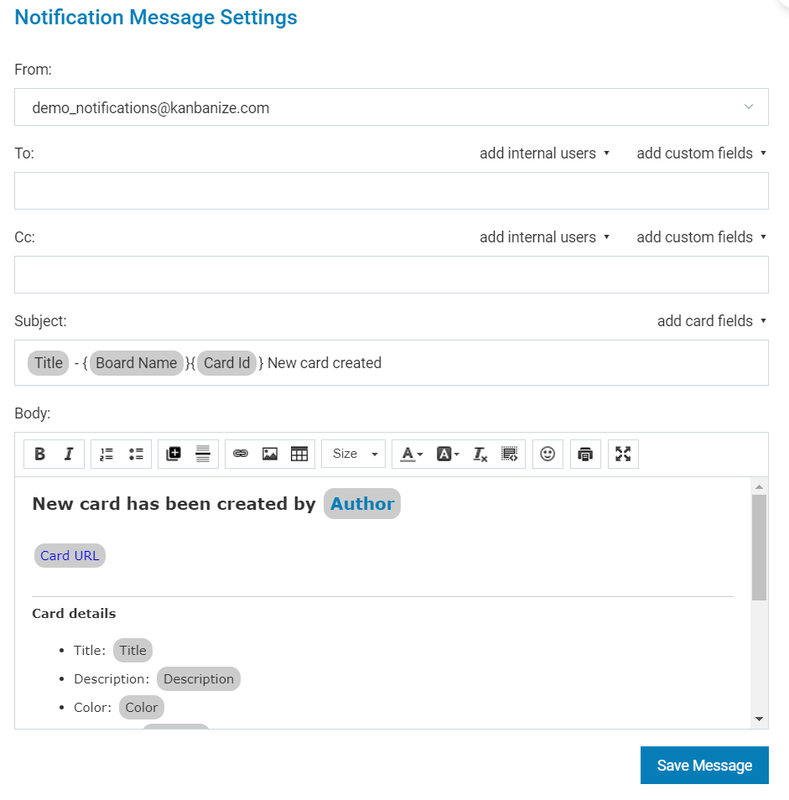 The Subject of the notification email contains by default: the title of the executed rule, board name, card ID and the text "New card created". 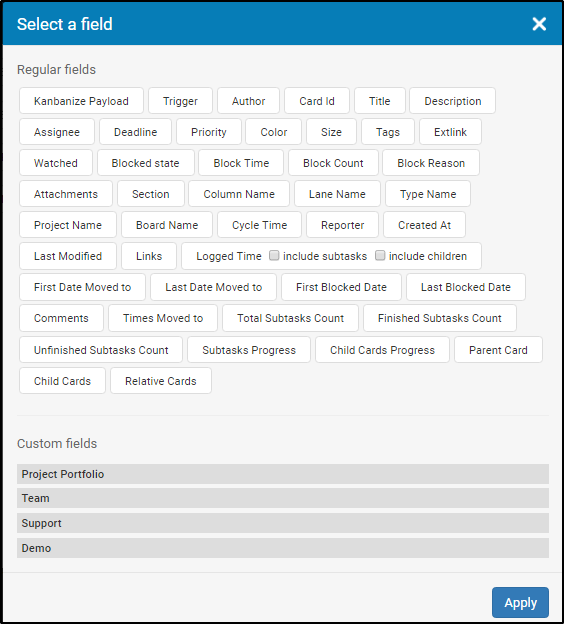 You can modify the title by clicking on "add card fields" and select your preferred card properties to display. 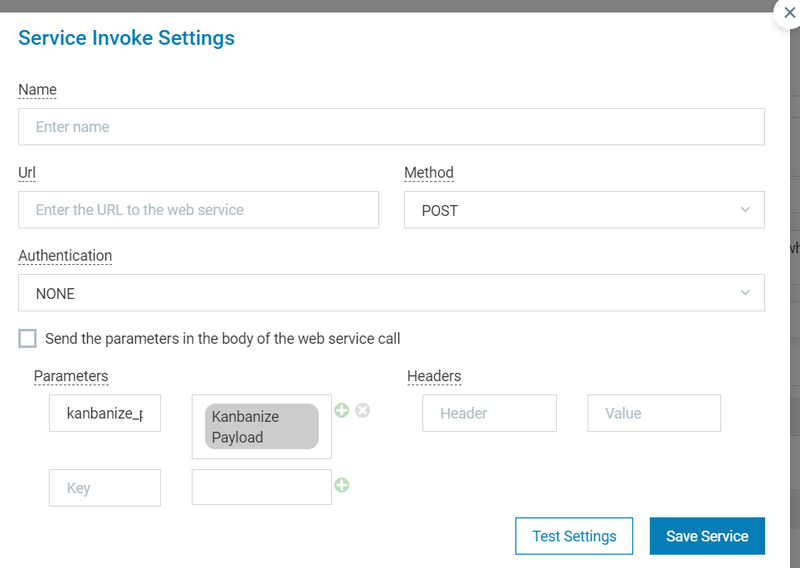 You can remove all fields and write a custom title.